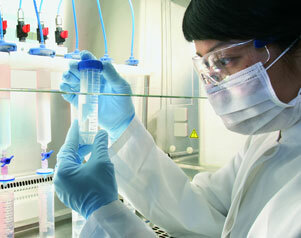 Providing laboratory services that fit your goals. The US EPA and Surgeon General consider prolonged exposure to radon in family dwellings the second-leading cause of lung cancer (second only to cigarette smoking). Radon exposure represents the single highest significant health risk to families in the United States. The level of risk is directly related to the measured radon in air concentration thus the importance of measuring radon levels accurately to determine if radon mitigation is necessary to protect the health of current and future occupants. Forensic Analytical Laboratories, Inc. (FALI) offers radon consulting and measurement services to individual homeowners, multifamily buildings and commercial properties following guidelines and protocols issued by the US EPA and ANSI/AARST. Services include: development of sampling strategies based on project requirements, short and long-term measurements, data interpretation and recommendations. FALI has worked with numerous property owners in assisting them with the selection of qualified radon mitigation contractors and providing the required testing after mitigation systems have been installed. FALI's radon consulting capabilities include the drafting of operation and maintenance plans tailored to the needs of specific properties. A number of recent studies now support the validity of using naturally-occurring radon as a conservative tracer inside a building structure and in the subslab soil gas to enable the calculation of a site-specific vapor intrusion attenuation factor. FALI supports the work of vapor intrusion consultants by providing radon gas sampling services consistent with current accepted practices. Radon analysis is performed in accordance with established EPA protocols. For more information, please contact our radon expert, Dr. Gustavo Delgado. Email or call (800) 827-3274 Ext. 8126.